Deanna will be returning to Phantom of the Opera as Meg Giry August 13-23!!!! She is so excited!!!! Deanna will be performing the role of 17-year-old Winnie Foster at Alliance Theatre's world premiere of Tuck Everlasting! This production will be directed and choreographed by Casey Nicholaw. This May, Deanna will be performing a duet from Street Scene at The Astaire Awards, honoring Pat Birch at NYU's Skirball Center! 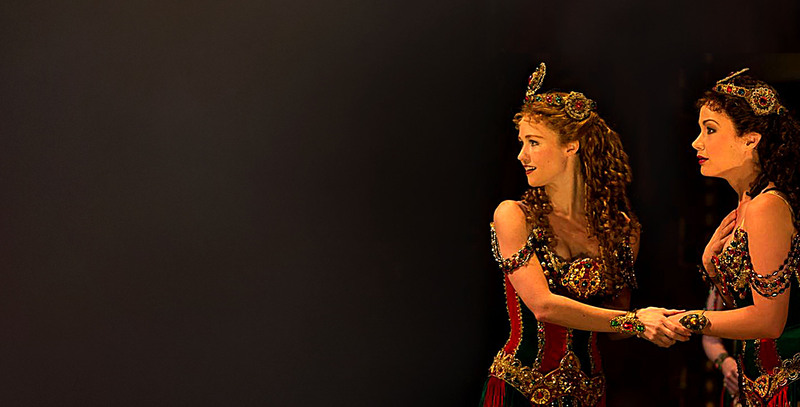 In January, Deanna will be making her Broadway debut as Meg Giry in Phantom of the Opera! Deanna just shot a national commercial for PNC Bank! This summer Deanna will be playing the role of Ivy Smith in Barrington Stage's On the Town, directed by John Rando and choreographed by Josh Bergasse. This May, Deanna will be performing in New York City Center's Encores! production of On Your Toes, directed and choreographed by Warren Carlyle.